Leigh was invited by Tentacles Gallery in Bangkok to speak about Museum 2050 and her insights into the evolving museum ecosystem in China. The talk was moderated by Pojai Akratanakul, an independent curator and researcher based in Bangkok, and also a part of the collected Charoen Contemporaries. 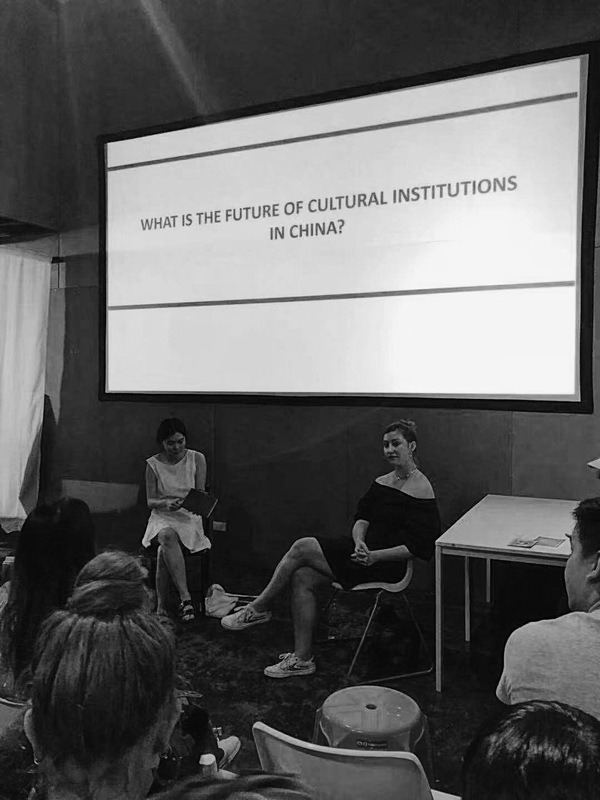 Leigh spoke about the future of cultural institutions in China and the support Museum 2050 is providing to young museum professionals as part of our mission. Tentacles is an art initiative founded in 2014. Tentacles focus on providing platform for emerging and experimental creative practitioners by hosting regular exhibitions and residency program for artists and researchers looking to spend time in Bangkok, to focus on their practices, as well as engage with local communities. Tentacles also act as a venue for collaboration and exchange of ideas in the wider social and cultural fields, by organising events such as seminars, artist’s talks, film screening. Exploring the future of institutions through the lens of China. © 2018 Museum 2050. All rights reserved.